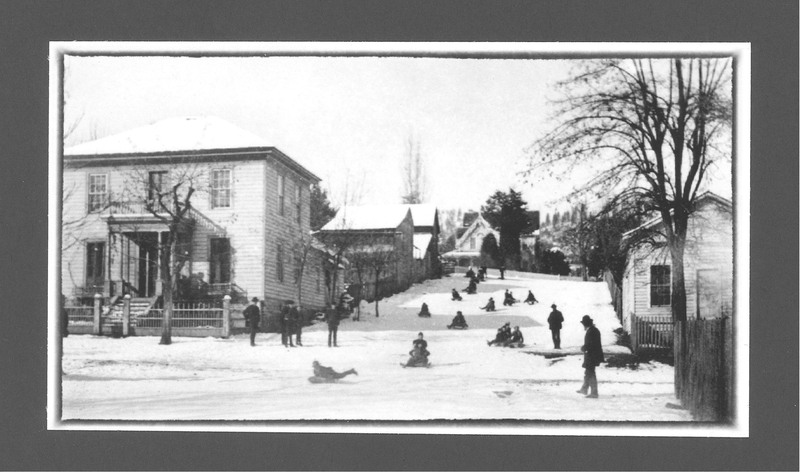 Britt Hill | Historic Jacksonville, Inc.
We’ll wish you some very happy holidays with this photo from the late 1800s of sledding on Jacksonville’s Britt Hill. The vantage point is the corner of Pine and South Oregon streets. Herman von Helms house is on the left corner with stables and a shed behind it, and Peter Britt’s house can be seen at the top of the hill on 1st Street.